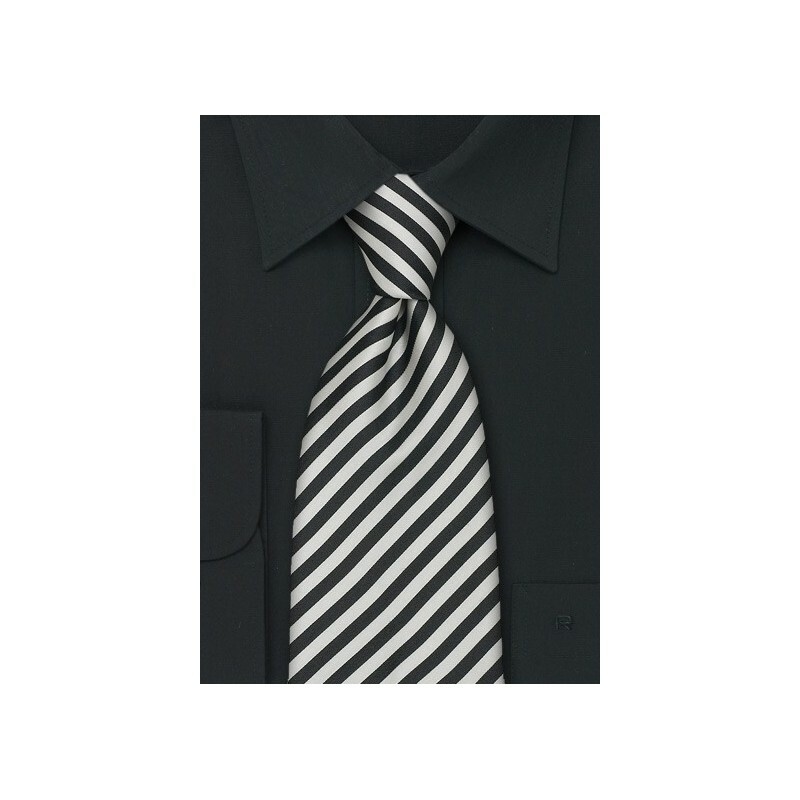 A classic necktie that combines black and white in a narrow striping pattern. This tie is part of Parsley's "Signals" Collection. 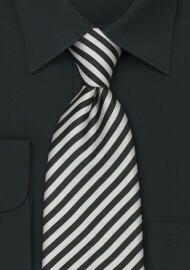 This tie is handmade from pure silk in extra long length - especially for taller men. Extra Long Length: 61", Width: 3.25"